On this webpage, you will find information about assistive technology (or AT), and recommendations of assistive technologies to help facilitate the reading performance of struggling readers. Assistive technologies vary in terms of how "tech-y" they are, so it's likely that you are already using forms of assistive technology without even knowing it. Low tech options (like highlighters, special paper, or alternative seating) can be a simple and inexpensive quick fix. Students that require more support may need mid to high tech options (like text-to-speech software, or interactive white boards). In any form, the use of assistive technology is able to make classrooms inclusive for all students. The purpose of this website it to provide resources for the struggling reader. What exactly is a struggling reader? Perhaps a student has been diagnosed with dyslexia. This disability would create problems in reading fluency. Maybe a student is proficient in reading fluency, but has trouble remembering what they read, leading to problems in reading comprehension. Or possibly, a student has poor phonetic foundational skills that cause them to have trouble decoding words. Although each situation is different, these are all examples that describe a struggling reader. For more information on struggling readers, feel free to visit this link. The goal of this website is to supply resources for educators of struggling readers to help them reach their maximum potential in the classroom. This video first explains what assistive technology is. It then gives examples of assistive technology. Finally, it describes the process of assigning an assistive technology according to an I.E.P. In this video, Kimberly Berry defines AT devices and services. She give examples from low to high tech devices for students with different impairments. 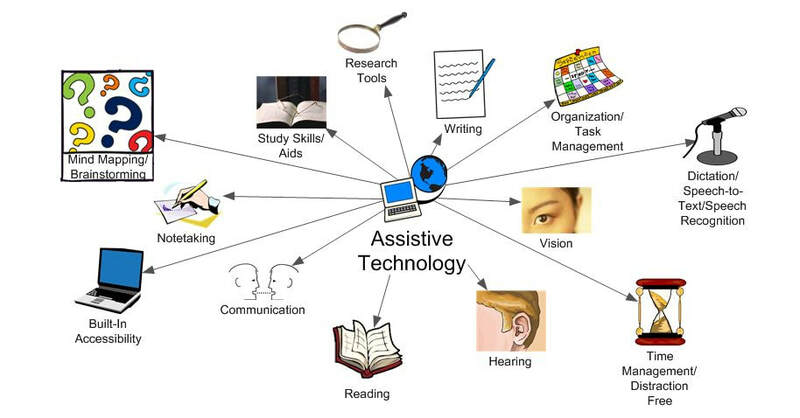 This video gives a visual presentation to help us understand assistive technology. It discusses simple, common, and advanced methods of AT to make life and school easier for those with disabilities. It also provides web resources to help you find AT support centers near you. The videos below provide many suggestions of AT for struggling readers. This video showcases how Kurzweil provides tools to help struggling readers. Kurzweil "offers learners multisensory approaches to read, comprehend, synthesize, apply, and demonstrate their knowledge." This video explores different tools for reading. Some of the suggestions include: Read&Write Gold (an accessibility toolbar that sits across the top of the desktop) and Firefly by Kurzweil (provides accessibility options for popular books). This video talks about a few different programs for struggling readers including AMAC (screen reading software), Kindle Word Wise (displays short definitions above difficult words), Bookshare (online audiobook library for students with disabilities), audible, com (digital audiobooks read by celebrities), Voice Dream (text-to-speech), ClaroSpeak (text-speech), and Rewordify.com (translates difficult text into simple words/phrases). Finally, the video lists and explains examples of low tech forms of AT including: a magnifying glass, a guided reader strip, a color overlay, and a slanted clipboard. 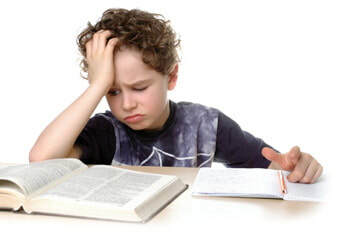 The websites below provide suggestions of AT for struggling readers. 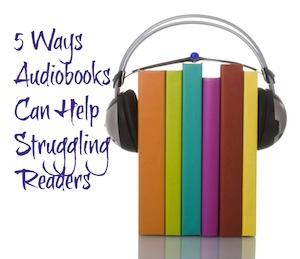 This sight covers five creative ways audiobooks can be utilized in the classroom. Paths to Literacy is a site that is dedicated to students who are blind or visually impaired, but have many resources that could be utilized with any struggling reader. 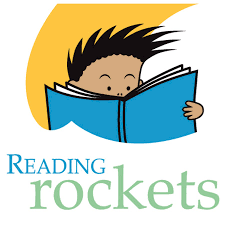 They have links to reading activities that focus on English language learners, students with multiple disabilities, general concept development, and much more. There is access to online classes and webinars. What apps can I use to support struggling readers? Blio is a free app that gives readers a whole new reading experience. Blio is unique, because it keeps the original look of the book (color, font, pictures, and layout), but makes it more accessible to all readers. Blio can read to you, or you can read independently. You can add notes and highlights to a page, and look up unknown words or phrases without having to leave the book. Another unique feature of Blio, is that the library isn't limited to just novels. Blio brings you a broader spectrum of texts to choose from including cookbooks, travel guides, how-to manuals, textbooks, and children's books. This is great opportunity for struggling readers to get exposure to real-world texts. Speak it! 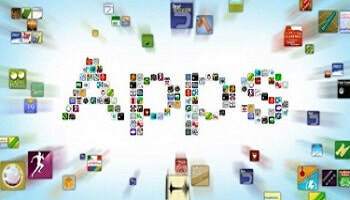 is a text-to-speech app that has a clear and natural sounding voice. Mono-toned, "robot" sounding software can be disengaging to students, and can cause them to lose interest. Teachers are able to copy documents, web pages, and PDF documents, and paste them to Speak it!, so struggling readers can listen to the text. Speak it! also highlights the words as they are spoken, so readers can follow along. Struggling readers who are also ESL students can benefit from this app, too, because the app works in Spanish, Italian, German, and French. Sound Literacy is an instructional app that uses sound tiles to increase phonemic awareness, phonological processing, and word building. Sound Literacy differs because it is more of a teacher-guided app than Bio and Speak it! Sound Literacy would be great for teachers, tutors, or speech therapists to use during independent or small group instruction. Using Sound Literacy, students are able to manipulate sound tiles to create words. Struggling readers will benefit from this practice because it will help them chunk up words as they read to see the individual sounds. Additionally, a special feature of Sound Literacy, is that a portion of the proceeds from the app go to the Dyslexia Association.